San Diego-based Illumina announced Tuesday its HiSeq X system can now be used to perform whole-genome sequencing of plants, livestock and other non-human species. The company introduced the first $1,000 human genome, and now sees a market opportunity in the low-cost, population-scale sequencing of non-human species in agricultural and pharmaceutical research. 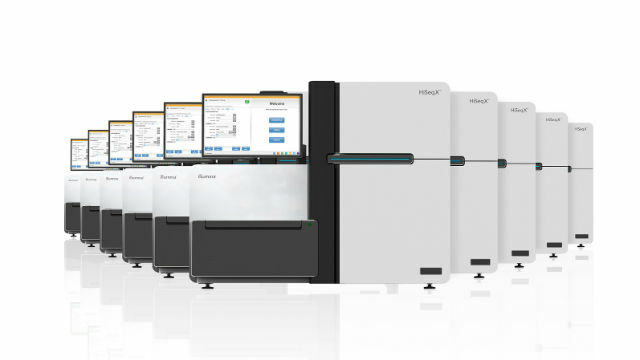 “Market adoption of the HiSeq X system for population-scale studies has exceeded our expectations and we are excited for new and existing customers to take their research to new heights,” said Francis deSouza, president of Illumina. Emma Millican, director of scientific operations for the Wellcome Trust Sanger Institute, said the Illumina system can be used to better understand the genetics and biological processes of non-human organisms, a development which is considered important for public health. “The Sanger Institute plans to extend whole-genome population sequencing to many more medically relevant organisms in the future,” she said. Illumina is the global leader in DNA sequencing and array-based technologies.